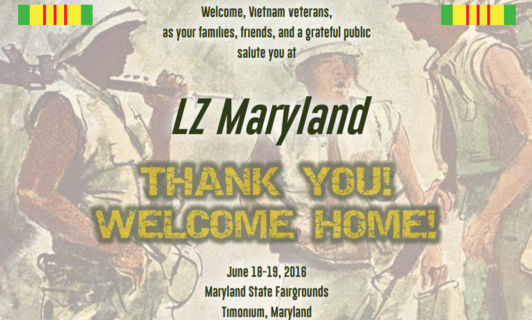 Join MPT's Education team June 18 & 19 at the Maryland State Fairgrounds for a meaningful two-day event honoring our region’s Vietnam veterans. The Vietnam education project features student-created oral history projects and interpretive dance performances paying homage to veterans. Through this project, Maryland students had a unique opportunity to fulfill service learning requirements and become a part of history. Education Exhibit Location: Cow Palace, Maryland State Fairgrounds. LZ Maryland activities include: an honor ride, military artifacts and aircraft, a boot-camp style activity, concerts, food and much more. See events schedule. If you are a teacher, you are a leader. You encourage, inspire, guide, direct, motivate and support students on a daily basis. Edutopia offers up articles, tips, videos, blog posts and resources surrounding the topic of teacher leadership. Foster resilience and ethical leadership skills for students and youth with PBS LearningMedia’s multimedia resource collection. Explore videos on empathy, gratitude, forgiveness, and self-acceptance that help students develop core values through art, writing, performing, and other activities. Visit Thinkport for PreK-12 activities, multimedia, lessons and online courses.